It is inevitable. Might as well be prepared for it. In today’s day and age when it is hard enough to fathom what will happen in the next minute, attempting to predict what our life will be like at the age of 75 and above seems like an impossible task. Have you ever wondered how you would like to age? Have you ever imagined or even remotely thought about how you would like to die? These are not easy questions to answer, but are thought-provoking nevertheless, because one day we all will be old and nearing death. Ageing is a personal experience and we can learn a lot by spending time with a person nearing the end of their life span. Conversations around your own experiences and understanding the perspective of an older aging person can provide much insight. As a firm believer in the power of visualisation, I believe writing what life will be like in your later years would only make your vision turn into reality. If you can visualise yourself ageing gracefully, the possibility of that happening is greater and you will be able to take necessary steps starting now to achieve that goal. According to a survey about what gives meaning to one’s life in old age conducted at a senior living facility, 90 per cent suggested that their life was meaningful, and from that, for 57 per cent, this meaning came from enhanced human relations, and for 12 per cent, from service to others, religion and leisure activities. Another study suggested that it was important for one to identify their life purpose and that people found meaning in work, leisure, grand parenting and intimate adult relations. There are several myths around ageing. A popular belief is that retirement has a negative connotation associated with it, that it leads to identity crisis and that older adults have little contact with the younger generation. Surprisingly, research suggests that younger people are lonelier than older people. Through the process of self-discovery, you will find hidden aspects of yourself – both good and bad. For years and decades of your life, you might have been obsessing about your looks, and whether you are fit or fat. You may find old age liberating as you will find yourself more at peace with how you look to the world. The care of the body continues but the obsession with it surely ends. The focus shifts more on nourishment of the body and the soul. Eating healthy takes precedence and making time for a healthy and active lifestyle backed by daily movement also becomes a priority. Cognitive health is the basis for how we reason, judge, concentrate, plan, and organise. Good cognitive health, like physical health, is important as we get older, so that we can stay independent and keep active. Some declines in cognition and memory with age are normal, but sometimes they can signal problems. Yoga helps in improving cognitive abilities. Pranayam helps one to attain a better balance between the right and left-brain, bringing more balance between emotional and rational thinking. 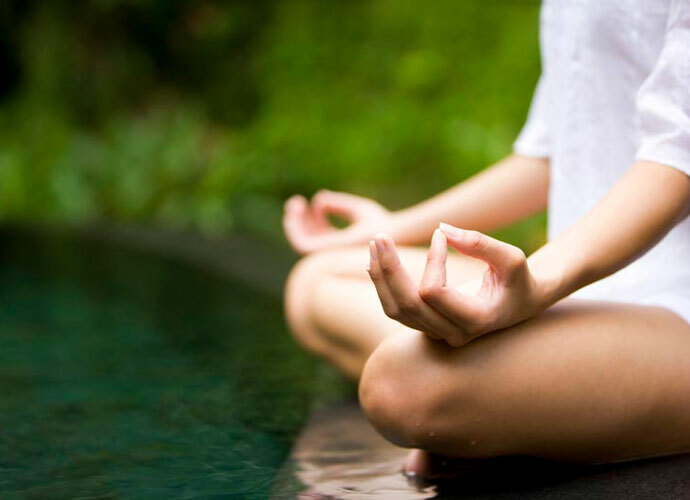 Meditation facilitates a process of introspection, and brings more clarity and focus in one’s life. Regular yoga also improves ones memory. As you get older, to keep yourself sharp, be active in your life, continue a passion or creative pursuit and practice yoga. According to John Travis’ model of Illness-Wellness Continuum, you might find more motivation to move towards the wellness continuum and want to make an active effort in that direction. Moving towards the illness continuum shows a progressively worsening state of health, whereas, moving to the wellness continuum indicates increasing levels of health and well-being. The treatment paradigm (drugs, herbs, surgery, psychotherapy, acupuncture, and so on) can bring you up to the neutral point, where the symptoms of disease have been alleviated. The wellness paradigm, which can be utilised at any point on the continuum, helps you move toward higher levels of wellness. As you process towards old age, you may find that the wellness paradigm is not meant to replace the treatment paradigm; you may be visting your doctor doctor/practitioner regularly, but this is so that wellness and treatment go hand in hand, or, work in harmony. If you are ill, then treatment is important, but don't stop at the neutral point. Use the wellness paradigm to move toward high-level wellness. This will improve your overall quality of life while living and dealing with chronic disease. As an activity, I will suggest that you list seven things you will miss most when you are no longer alive. You will be surprised what surfaces and how that changes the way you look at your life.